To be worn on the right side of the head. When I buy peacock feather there are always a couple in the bunch that are somewhere between a peacock eye feather and a peacock sword. In the past I always set them aside and never made use of them. I think they are beautiful and have a light and romantic feel about them. 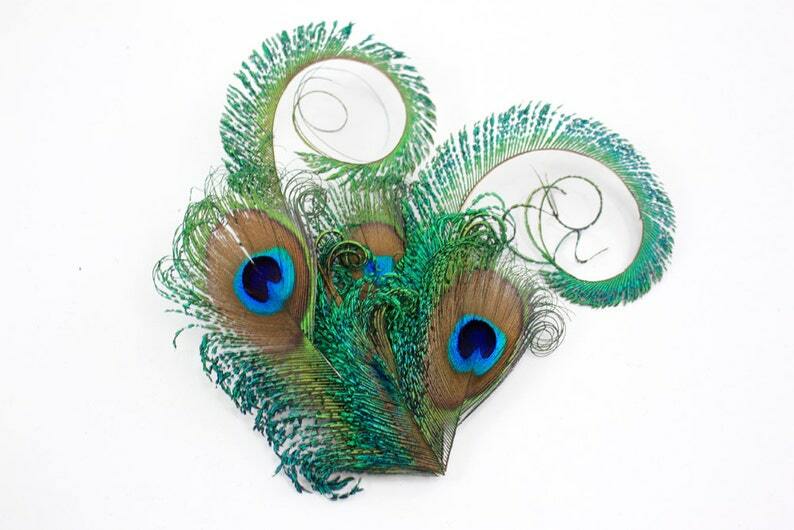 This clip is made with those perfectly imperfect peacock feathers and accentuated with a couple curled peacock swords.